Winds of more than 100mph battered parts of the country overnight causing widespread travel disruption. Gusts continued to push northeastwards into bank holiday Monday as amber weather warnings were issued for London and the South East. Residents in Hampshire, the Isle of Wight, Sussex, Surrey and Kent awoke to the worst of the weather. 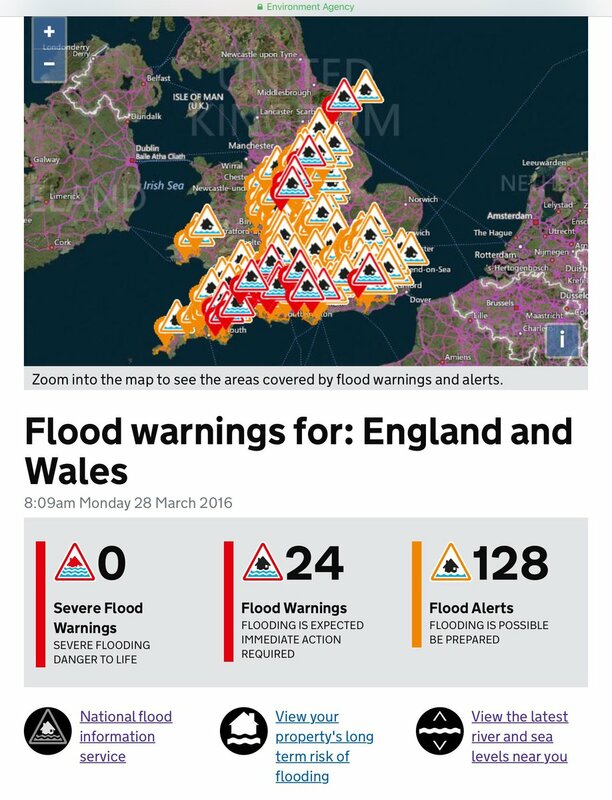 Heavy rain during the storm has also caused river levels to rise with the Environment Agency issuing 23 flood warnings and 122 alerts. It posted: "River levels rising quickly in response to rain overnight." Gatwick was forced to cancel 26 flights and divert a further 23. Both Heathrow and Gatwick encouraged travellers to allow extra time in getting to the airports. Adverse weather has caused a small number of cancellations and diverts this morning. Please check with your airline for the latest info. Passengers using South West Trains experienced some cancellations on routes between Portsmouth and London Waterloo. Southern Railway users experienced delays and cancellations in Lewes, Seaford, Selhurst, Norwood Junction, Bognor Regis, Littlehampton and others. Line blockages caused disruption for rail users in Greenwich, Hastings and Bromley North. Adverse weather forced the Port of Dover to close temporarily. The port has now reopened. #PortofDover has lifted the temporary sailing restriction and sailings will shortly resume. The Queen Elizabeth II bridge at the Dartford Crossing in Kent and the Orwell Bridge on the A14 in Suffolk were forced to close because of high winds. Meanwhile, the Met Office advised drivers to delay their journeys because of flooding and obstructions on the roads. Gusts of more than 70mph have been battering parts of the UK as Storm Katie hit overnight.